After an entire week of trying the German solution to colds – basically lots of hot drinks and throat sweets made with natural ingredients like sage (just add some onion and you could call me a Christmas turkey!) – and feeling absolutely no better and if anything slightly worse, I finally caved and sent the boyfriend out to get me some real medicine. I mean, I’m sure the tea drinking thing would have cured my cold eventually (if only because my immune system finally won the battle) but when I’m ill I want medicine, not parsley, sage, rosemary and thyme! 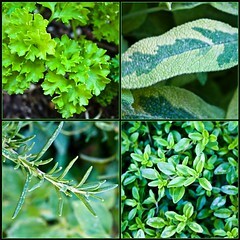 (Actually, only sage and thyme were included in my many “natural” remedies but I couldn’t resist gettng that in there). After some searching on the Internet (not sure why it took me 6 years to think of it?! ), I discovered that Germany does sell a hot drink that contains actual medicine, like paracetamol and some other stuff that I can neither spell nor pronounce but basically one thing to help with coughs plus something to clear the nose. It’s called Cetebe – for those of you who speak German, it’s pronounced like the letters c, t, b auf Deutsch, as the boyfriend informed me after my failed attempt to say it. Cetebe also do other products, such as some capsules to help the immune system. The cold powder stuff is called antiGrippal. So, fellow British expats in Germany, if you ever find yourself in the grips of cold/flu and don’t have any Lemsip/Beechams cold and flu powder, this is what you need to look out for! As is usual with anything that contains even the merest hint of something that is actually medicinal and not something that is actually meant for cooking with, it’s “Apothekenpflichtig” (i.e. can only be bought at pharmacies). Apart from Cebete, the other thing I asked the boyfriend to purchase for me was cough medicine. The one I still had from last time I had a cough was out of date, plus it was not from the chemist and therefore again contained no actual medicine – the active ingredient in that particular one is Spitzwegerich (ribwort in English apparantly – not that the translation helps, I’ve still never heard of it! ), which I cannot stand the taste of! Not that cough medicines in England taste particularly nice, but I can put up with the horridness if I know there is actual medicine in that is going to make me feel better! So I got Jan to buy me some medicine from the chemist’s. It doesn’t taste all that nice, but it isn’t awful either. I can’t say the medicines worked instantly, but it’s not like I was expecting them to! But within an hour I had a throat that only hurt when I swallowed, eather than constantly, my coughing fits had become less frquent and I was coughing for shorter stretches at a time and, for the first time in days, my nose was clear enough for me to be able to taste. Woo hoo! I celebrated by making myself a cheese toastie. After being woken up by a coughing fit at 6 o’clock this morning, I got out of bed, took my medicine and then actually managed to fall back to sleep until 11 (I know, sooo lazy! But it is Sunday and I am still ill, albeit recovering). And today even the boyfriend has commented that he hasn’t heard me cough as much. Real medicine! You can’t beat it. So remember, if you’re ever feeling coldy/fluey in Germany and find yourself wishing for Lemsip, the equivalent is called Cetebe.